Reliance Group chairman Anil Ambani Thursday deposed before a special court here as a prosecution witness in the 2G spectrum allocation case and said he was not aware of any company named Swan Telecom. "I'm not aware of any company called Swan Telecom," Ambani replied in the special court of Central Bureau of Investigation (CBI), presided over by Judge O.P. Saini, when asked by the prosecution if he knew this firm that was given telecom spectrum and licence in 2008. 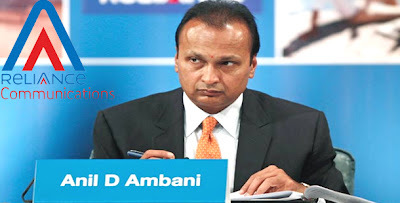 The main allegations of the probe agency, prompting it to call Ambani as a witness, is that Swan Telecom was a shell company of the Anil Ambani Group, ineligible for telecom spectrum and licence -- a matter that has been strongly denied by the defence. The court had Wednesday declined the plea of Reliance Telecom against summoning him and and his wife Tina Ambani as prosecution witnesses and said their examination "will not cause any prejudice to the accused facing trial in the case". The court had postponed their examination last month. Subsequently, on July 19, summons were issued to Anil and Tina Ambani for recording their statements Aug 22 and 23, respectively, based on the probe agency's plea. The 54-year-old Ambani, who looked relaxed and composed, had reached court much ahead of the time. Standing in witness box in a packed room, he declined any knowledge about Swan, but said he had, indeed, met telecom ministers a number of times. "I met the late Pramod Mahajan, A. Raja, Kapil Sibal ... multiple times in connection with the developments in telecom sector," he told the court.